Making recycled paper is a complicated process with enormous environmental benefits. According to the American Forest and Paper Association, more paper is recovered, by weight, for recycling than all plastic, glass, and aluminum combined. Every ton of paper that is recycled saves more than 3 cubic yards of landfill space. Used paper goes through many steps during the recycling process. Recycling paper into a new, usable product can take many months. Most recovered paper is recycled into a paper grade equal to, or lower than, the grade of the original paper product. Sorting: Local recycling centers collect and sort recovered paper into types, or grades. Paper contaminated with food, heavy dirt, chemicals, or other substances is set aside for burning, composting, or transport to landfills. Transportation: Once sorting is complete, large trucks transport the paper from your local recycling center to a paper mill. Storage: After reaching the paper mill, workers bundle the paper, separate it based on grade, and place it into warehouses for storage. This speeds up the recycling process later. Repulping: Forklifts retrieve the bundles of paper and place them onto conveyors when it is time for recycling. The conveyor moves the paper to a large pulper, which is a vat containing chemicals and water. The pulper chops the paper into very small pieces, and the chemical mixture in the vat breaks the paper down into strands of cellulose, or fibers. Screening: A large machine forces the paper through a screen after it becomes mushy. The screen helps remove tiny contaminants and pieces of plastic, glue, or other debris. Cleaning:The mushy pulp is then placed into cone-shaped cylinders that spin the paper to remove any additional debris. De-inking: De-inking removes glue residue and other adhesives and strips printing ink from the paper. There are several common methods of de-inking, including a process called flotation, which involves using surfactants to separate adhesives and ink from the paper pulp. Refining: Once the pulp is free of contaminants and ink, it is beaten until the fibers swell. This makes the fibers easier to work with. 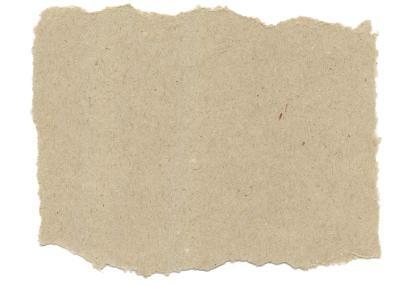 Bleaching: Colored paper requires chemical stripping to remove the dyes from the paper before reforming can take place. Bleaching with hydrogen peroxide or oxygen increases the brightness of the paper and removes any remaining color. Papermaking: The next step in making recycled paper involves mixing the paper pulp with 99.5 percent water and placing it in a large metal box. Jets spray the pulp onto a flat, wire screen. Water drains from the pulp, causing the paper fibers to bond together and form new sheets of paper. The sheets pass through multiple press rollers to squeeze out any remaining water. Drying: To dry the paper, the sheets pass through heated metal rollers. Once dry, the machine forms the giant sheets into a roll. The roll is then cut into many smaller rolls for easy transport to another plant for printing or use in manufacturing. Making your own recycled paper at home is simple and fun. It is also an excellent way to teach children about recycling. Before beginning, gather your supplies and place them near your workstation. You do not want to stop in the middle of making recycled paper to collect supplies. Only about 80 percent of recovered paper is suitable for recycling. The remaining 20 percent includes paper fibers that are too small or weak for recycling and contaminated paper that ends up in incinerators or landfills. Each time paper goes through the recycling process, the fibers shrink in length and lose strength. Most paper is only recyclable seven times. Secure the nylon screen to the wooden picture frame using staples. Tear scrap paper or old newspapers into small pieces. Place the pieces into a large bowl of hot water and allow to soak for 30 minutes. Fold more newspapers and place them into a stack that is twice as large as your picture frame. The stack of papers should be 2 inches thick. Place a small towel on top of the stack of newspapers to catch water. Remove the paper pieces from the bowl of water and place them into a blender. Add just enough warm water to cover the paper. Blend the paper until it reaches a mushy consistency. Empty the bowl. Remove the pulp from the blender and place it back into your bowl. Add water until you obtain a mixture of 80 percent warm water to 20 percent paper pulp. Stir the mixture gently until the paper pulp floats to the surface. Dip the mold directly into the water, and then lift it back out of the water in a scooping motion. Alternatively, you can slowly pour the pulpy mixture over the length of the mold. Allow the majority of water to drain off the mold. Once the mold stops dripping, turn it over and lay it on top of your small towel and newspaper stack. Use a sponge to pull away any excess water from the molded pulp. Once the mold is mostly dry, remove it from the towel and allow it to dry at room temperature. Iron the dry paper with the lowest heat setting to work out any lumps and wrinkles.